Once a certain amount of tokens are dispensed into the lower tray, you are ready to begin play. 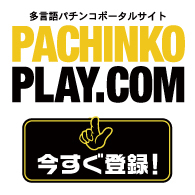 Insert tokens in the slot (tonyuguchi) located on the right-hand side of the machine. Typically, three tokens are required for one spin of the reels. 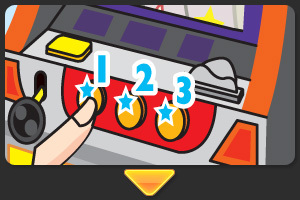 Inserting more than three tokens at once will cause the lamp located to the left of the reels to light up. After inserting three or more tokens into the machine, press down the lever located on the machine's left-hand side to spin the reels. Once the reels start spinning, press the reel stop buttons located to the right of the lever to stop them. The buttons respectively correspond to the left, center and right reels under which they are located. Pressing a stop button will stop the corresponding reel. Generally reel stop buttons are pressed from left to right. 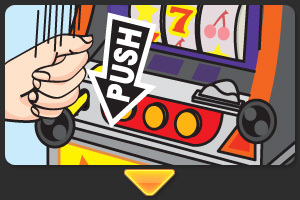 Landing a bonus game in mid-play will cause the machine to pay out a large volume of tokens, out of which the machine will store up to 50. 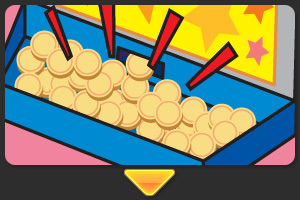 Any amount of tokens exceeding 50 paid out during a bonus game will be released into the lower tray. 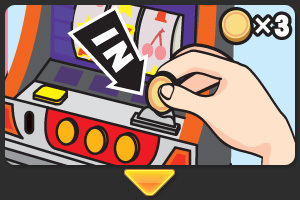 Once the lower tray of the machine becomes full, use the empty winnings boxes (dorubako) situated above the machine to manually remove tokens from the lower tray and store them above the machine. 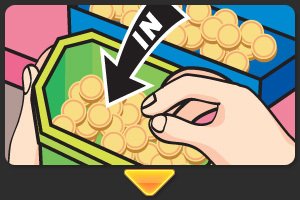 Be sure to do this before the lower tray overflows with tokens.